Food trucks are a dime a dozen in LA. For years, old-school taco trucks, aka - "loncheras," provided curb-side meals in local neighborhoods (mainly in East LA), and recently, a new wave of trucks carrying "gourmet" foods hit the street-food scene (everywhere else). Both are essentially micro-enterprises headed by entrepreneurs who wish to maintain a living as a food vendor or in the very least, test out an idea without the hassle of high overhead costs and other hurdles. Some food trucks roll in and out, but others get lucky. The successful ones attract hungry fans who track trucks and share what, when, how, and why they are eating what they're eating via every mode of social media. They are the ones who deliver interesting flavors and concepts that Angelenos rave about. And even within that small group of lucky truckers, there is an even smaller group that open up a brick-and-mortar restaurant to serve their food sans wheels. Komodo, with its "dangerously good food" is one of the elite few. 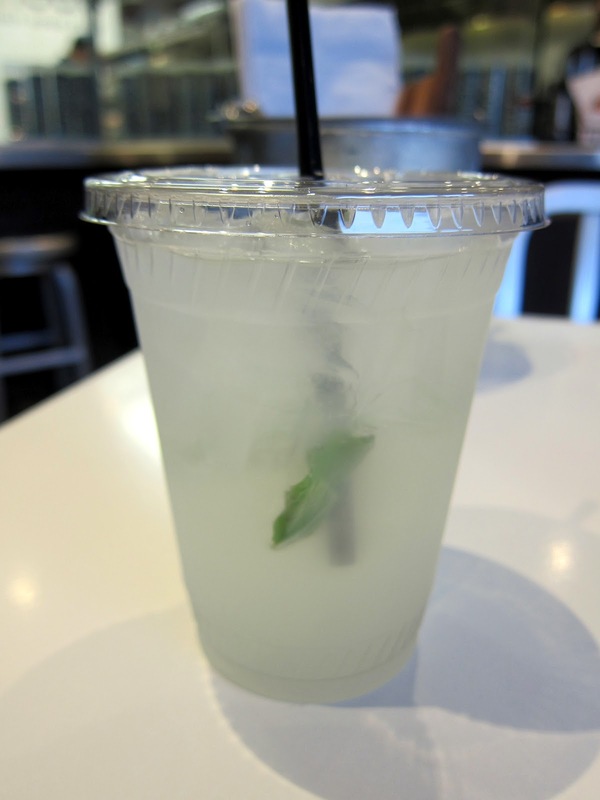 The Citrus Mango and the Lychee Lemonade are both refreshing and sweet, but I opted for the Lychee Lemonade, which is more lychee than lemonade. For me, this is a win. Komodo has good salads and burritos, but its key to fame is their tacos. Priced at $3 a piece, they are pricier than your typical East-LA taco, but since you get to choose from 12 different flavors, you get plenty of bang for your buck. For an even better deal, choose the "Killer Combo" and get 4 tacos for $10. All of the tacos were tasty, but the MP3 and Fish & Grapes were my personal faves. The Burgerrito (deconstructed cheeseburger - not pictured) was also surprisingly delicious despite its simple concept. I found the crabcakes overcooked and too dry. The curry aioli was overpowered by the aioli (probably egg yolk) part of the sauce. I wish there was a more spicier curry aftertaste. Fresh tuna, fresh avocado = win, win! The crispy outer shell with the pillowy potato center of each perfectly-cooked tater tot makes life a better place. So now, imagine delicious tater tots, drizzled with truffle oil and tossed with Parmesan cheese. You just have to try these for yourselves. It's really that good. 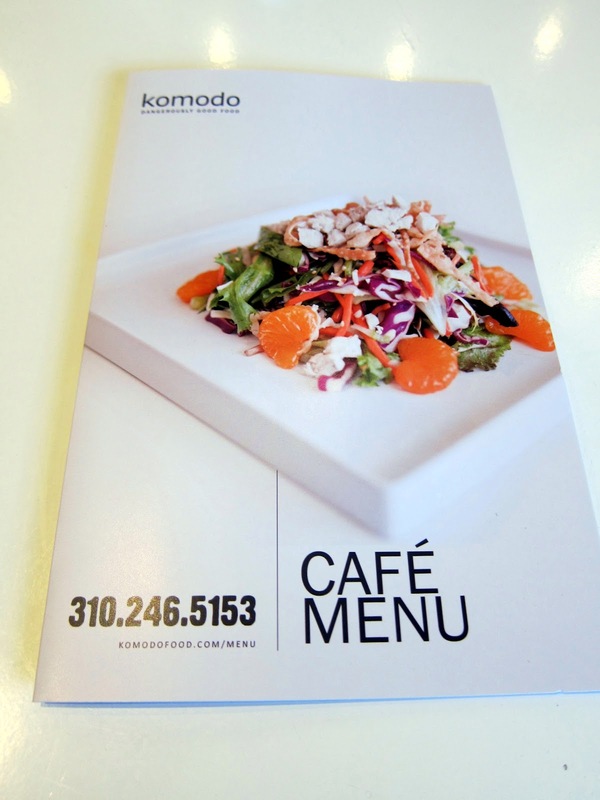 Thanks Komodo, for serving your delicious food both on the streets and in your small, but cozy space in West LA. I'll be back again!